I've only read one book by John Green and one by Simon Ekeles, so I'm kind of in the same boat :). I really need to read more by these authors. Nice list! 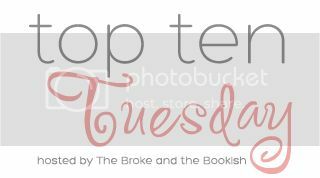 I have Colleen Hoover on my list too this week. I can't believe I forgot to put Veronica Roth on my list. I've loved the Divergent trilogy this year. Read Alice in Wonderland and I believe Gena is an amazing author! Can't wait to read All our Yesterday :D Great list. Yay, I'm not the only one late to the John Green party! And ohmygosh, Perfect Chemistry, you must read that series! And her Paradise duology! You found some great authors this year. So happy you started Divergent and found Cristin Terrill. I was beyond excited to find her myself. All Our Yesterdays was fantastic! Great list! I love Elkeles, John Green and Veronica Roth. Hopefully I can read Trish Dollar in 2014. I have heard good things. Great list! So many fantastic new-to-me authors this year! Some who've been around for a while and some debuts that I hope will stay around for a while (Samantha Shannon for one). A great year. I really want to try out some Courtney Summers--I hear great things about her books from so many readers. Nice picks! I was late on the bandwagon for TFIOS too but it was so amazing and heartbreaking when I finally read it. I just know the movie is going to destroy me emotionally. I have not read The fault in our stars yet but I read good reviews about it. I might try that book next year. I still have a few more pending books until the end of this month. Perfect Chemistry is okay but not as good as Leaving Paradise series. I recommend Leaving Paradise too if you have not read that yet. I can't believe I left Courtney Summers off my list, I think I love her so much I forgot I only read her for the first time this year! And I haven't read any John Green so you're not the latest one to the party! John Green...I need to read more from him, too! I really enjoyed DIVERGENT. I look forward to Roth's next series! I think WILD CARDS is only the second book I've read by Elkeles. Still gotta get on it! I've heard Hoover is fabulous! I haven't read a lot of your choices! I need to read more, lol! John Green was on my list too! I completely adore his novels. Great list! I almost put Colleen Hoover on my list - I adored Slammed, still need to read Hopless - but stuck with new authors who I gave 5 star reviews too. I really want to read All Our Yesterdays! :) My TTT.